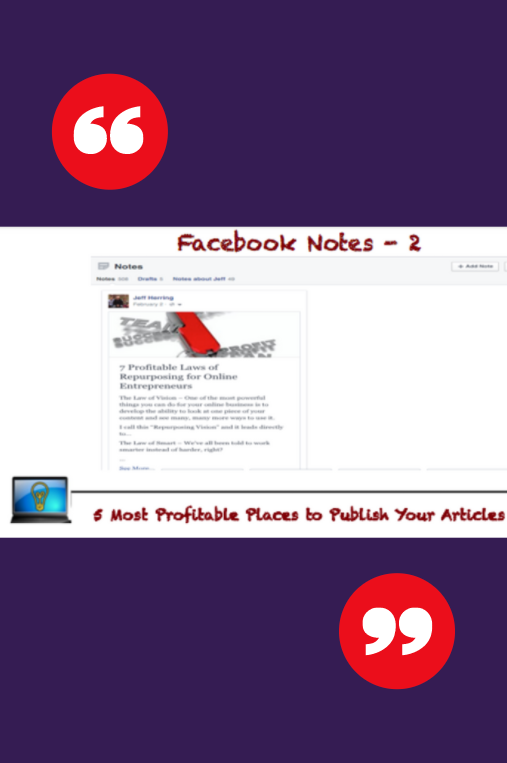 Why would you want to publish your articles in as many places as possible? Well, if you’re fishing for fun, then just one line in the water is all you need. But it you’re fishing to eat, to grow your business, then you want as many lines in the water as possible. 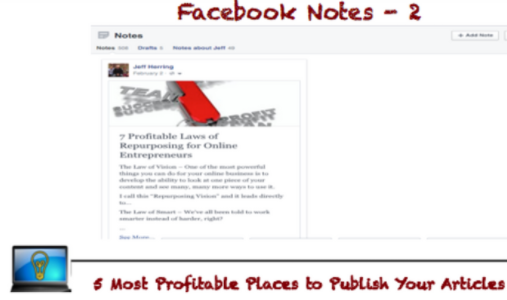 I thought your Facebook video on how to publish your articles on Facebook notes was very interesting. Can I do this with a full 300 word article?